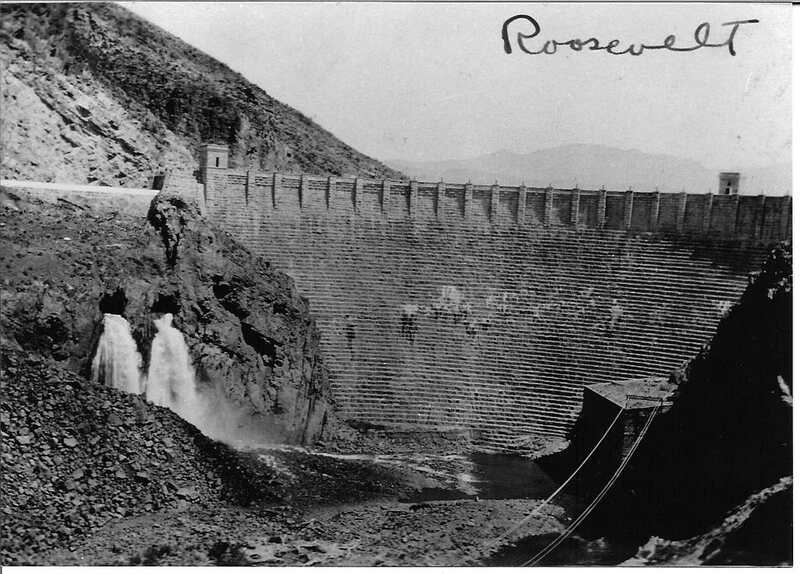 The Roosevelt Dam was built in the Tonto Creek box canyon, at the confluence of the creek and the Salt River. 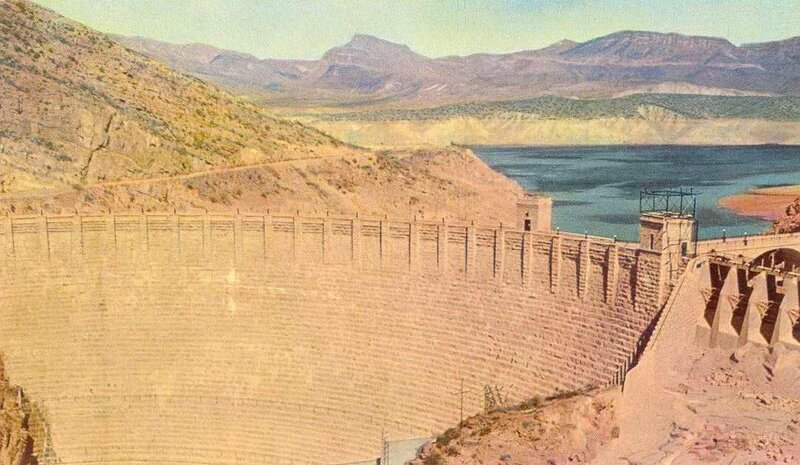 The first project funded by the U.S. Bureau of Reclamation, construction on the dam began in 1906. This was one of the last stone masonry gravity dams built in the United States. At conclusion of construction, former president Theodore Roosevelt came to dedicate the dam on March 18, 1911. 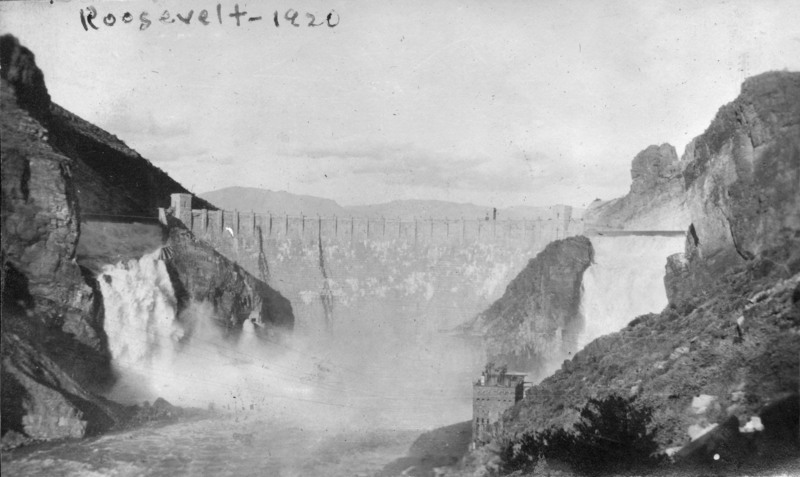 The Roosevelt Dam construction site was a popular tourist destination. In this picture Dr. Chandler joined a group of intrepid travelers that drove the more than 60 miles from Mesa to the dam site along the Apache Trail. Dr. Chandler stands on the left of this photo of a visit in 1908.